I have posted before, and in my book, that the textbook geometrical description of special relativity cannot be attributed to Albert Einstein. My reasons are (1) Einstein's 1905 special relativity paper was no more geometrical than the previous Lorentz theory; (2) Poincare's 1905 paper pre-dated Einstein's and had the spacetime geometry; (3) Minkowski built on Poincare's theory and popularized the spacetime geometry in 1908; and (4) Einstein did not understand the Poincare-Minkowski geometrical 4D approach and badmouthed it. Einstein did later embrace Minkowski's approach, and used it in his general relativity work. So I assumed that he subscribed to geometrization after about 1910. Besides Minkowski, Einstein got the geometrical view from Grossmann, Levi-Civita, and Hilbert. Those were mathematicians who fully appreciated differential geometry. I argue that, contrary to folklore, Einstein never really cared for geometrizing the gravitational or (subsequently) the electromagnetic field; indeed, he thought that the very statement that General Relativity geometrizes gravity "is not saying anything at all". Instead, I shall show that Einstein saw the "unification" of inertia and gravity as one of the major achievements of General Relativity. I found that in most textbooks geometric ideas were given a starring role, so that a student who asked why the gravitational field is represented by a metric tensor, or why freely falling particles move on geodesics, or why the field equations are generally covariant would come away with an impression that this had something to do with the fact that space-time is a Riemannian manifold. Of course, this was Einstein's point of view, and his preeminent genius necessarily shapes our understanding of the theory he created. Lehmkuhl says that Weinberg was wrong, and that geometry was not Einstein's view. But now the passage of time has taught us not to expect that the strong, weak, and electromagnetic interactions can be understood in geometrical terms, and that too great an emphasis on geometry can only obscure the deep connections between gravitation and the rest of physics. 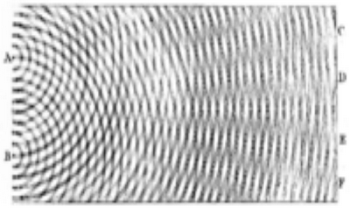 Weinberg got the 1979 Nobel Prize for an obscure 1967 paper that was later reinterpreted as giving a geometric model for the weak and electromagnetic interactions. Now all three interactions are best understood in terms of geometrical gauge theory. So Weinberg is famous for a 1967 paper that supposedly geometrized the weak force, but he denied in 1972 that such a thing was possible. 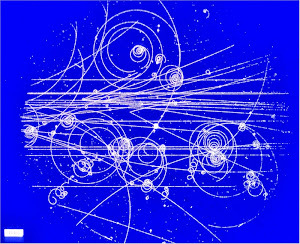 Meyerson sees another essential correspondence between Descartes' theory of physical events and the theory of relativity, namely the reduction of all concepts of the theory to spatial, or rather geometrical, concepts; in relativity theory, however, this is supposed to hold completely only after the subsumption of the electric field in the manner of Weyl's or Eddington's theory. I would like to deal more closely with this last point because I have an entirely different opinion on the matter. I cannot, namely, admit that the assertion that the theory of relativity traces physics back to geometry has a clear meaning. Einstein's famous 1916 general relativity paper had a lot of differential geometry explanations along with the physics, and had no references, so many people assumed that he invented it all. Historians know that hs not true, but until now they at least thought that Einstein believed in the geometrical approach. Lehmkuhl makes a convincing argument. It should convince Einstein historians that he did not accept the geometrical view, or even admit that it had meaning. 89 For details of Einstein’s arguments against seeing GR as a ‘geometrization of gravity’, see Lehmkuhl [n.d.]; for related arguments, see Anderson  and Brown . You consider the transition to special relativity as the most essential thought of relativity, not the transition to general relativity. I consider the reverse to be correct. I see the most essential thing in the overcoming of the inertial system, a thing which acts upon all processes, but undergoes no reaction. The concept is in principle no better than that of the centre of the universe in Aristotelian physics. To me, the big idea of relativity is the 4-dimensional geometry, with special relativity being the flat spacetime (with curved circle bundle) and general relativity being curved spacetime. The special relativity has been more important because it affected most of physics, while general relativity just affects cosmology. It seems weird for historians to change their minds about Einstein long after his death. He frequently talked and wrote about his discoveries, so how could anyone get it wrong? It was decades after his death that historians decided that he did not follow Michelson-Morley. And they still cannot explain how he avoided discussing Poincare. To a lot of physicists today, general relativity is a great theory because it geometrizes gravity. Now we know that was not Einstein's view.